... and Part One of our Adventure to Glasgow. A week before departure we decided to switch up our travel plans and fly from Atlanta (hurrah for no 14 hour drive to JFK) to Amsterdam, Netherlands (again, hurrah for no 5 hour drive from Paris to the Netherlands through Belgium). Because we knew we'd be exhausted, we opted to stay for one night in Amsterdam and leave for England the following morning. 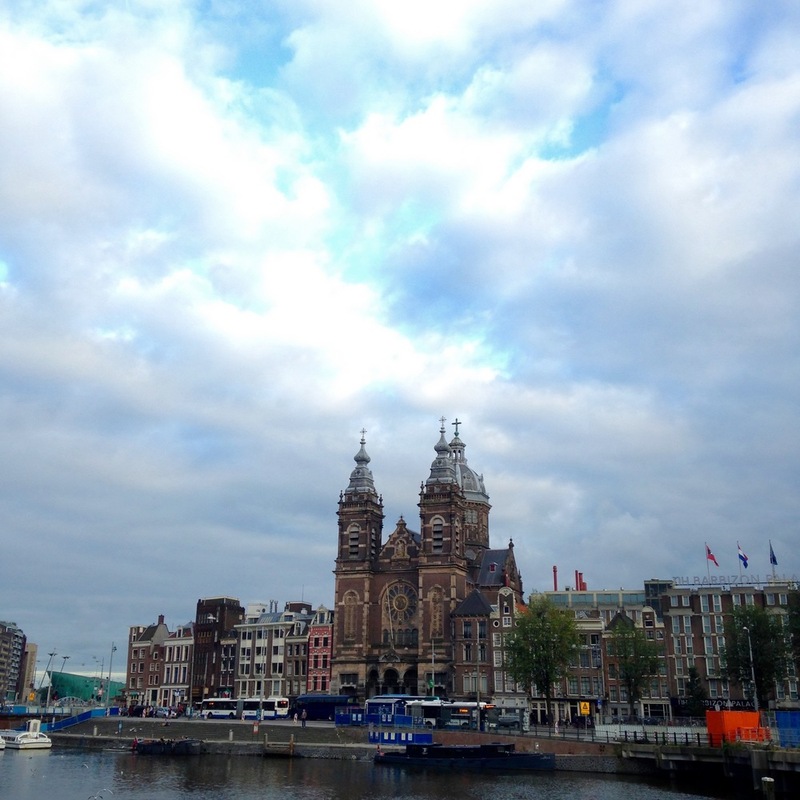 Amsterdam had never exactly been one of our big travel destinations but once we arrived in there, we quickly determined we would be returning as soon as possible. We took the train from the airport to the city center and suddenly there were canals, and leaning buildings, and bicycles everywhere. There are more then 100 kilometers of canals and more then 1,200 bridges over the canals. The city center is basically a horseshoe shape with the canals surrounding the center. 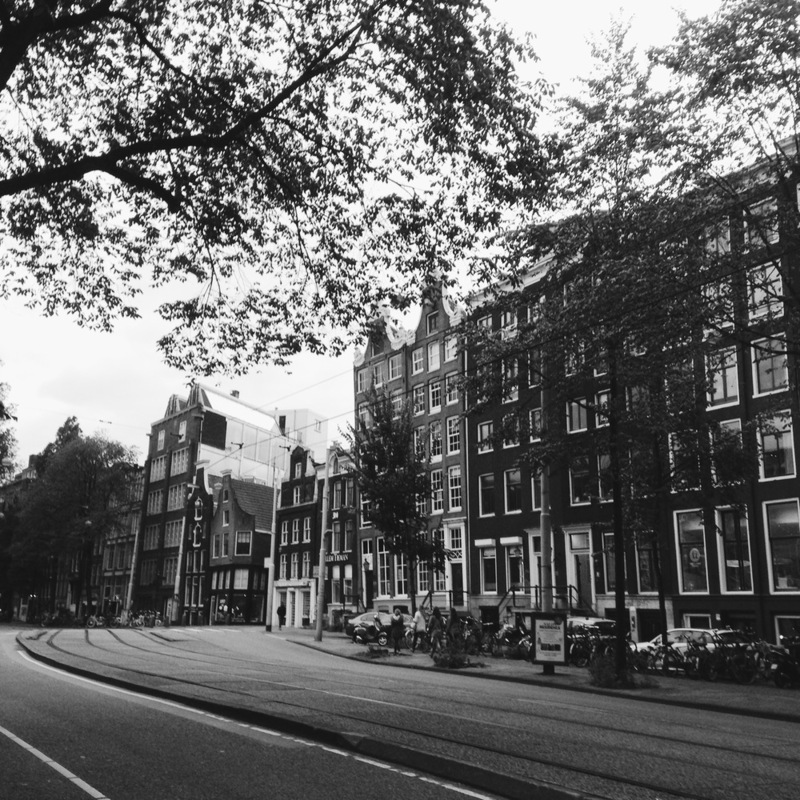 We walked through the popular sections of Amsterdam in an attempt to find a quieter side of the city. Of course, I had left my camera in the hotel room so I was busy trying to use my iPhone for pictures, while we tried not to get lost. We made our way sorta southwesterly, and eventually discovered a small restaurant called Haesje Claes that looked just perfect. Now that I have internet and can read more about the restaurant, I think we really chose well for our first meal in Amsterdam. The restaurant was cozy, the service was warm and the food was delicious. Bread with pumpkin seeds, lots of potatoes and meat and amazing chips (or fries). I had the Hotchpotch with a large meatball on a bed of mashed potatoes, alongside some salty bacon and sausage. Aaron had the Dutch Stew withe the best cabbage I've ever tasted. Highly, highly recommend this restaurant and when we return, I definitely plan on going back and trying some other dishes. The train station was imposing during the daytime, but once it was night and all lit up, it was positively stunning! Since our ferry to the UK was leaving from Rotterdam, we hired a car and drove through the countryside to the coastal town. We passed by so many canals, several old fashioned windmills, and fields of sheep, cows, and horses. The countryside was beautiful and when we drove through the small towns, most of the houses were picturesquely dotted with beautiful gardens and flowers. I think in order to be Dutch, one must have an excellent green thumb because there were flowers and gardens everywhere. I was sad to leave this pretty, little country and I already can't wait to return and hopefully spend more time exploring!